We might not be getting any exciting new M&Ms flavours in the UK but we do at least have another new product from the brand. This time we have these New M&Ms Cake Bars, which were found in Morrisons. They packet consists of 5 individually wrapped cake bars. 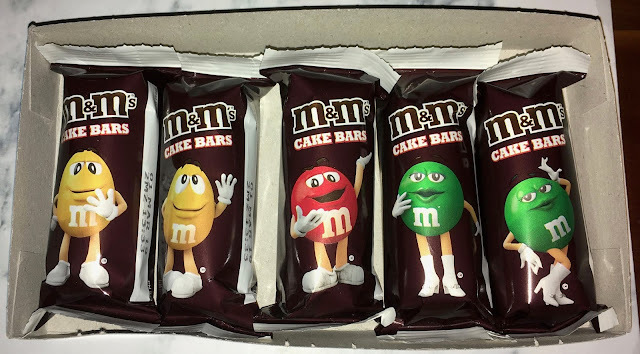 I loved the designs on the wrappers of the cake bars, the M&Ms characters are very bright and cheery. The bars are coated in milk chocolate, have a thick soft layer of sponge and creamy fondant topping inside of which are spotted with coloured sugar crystals. 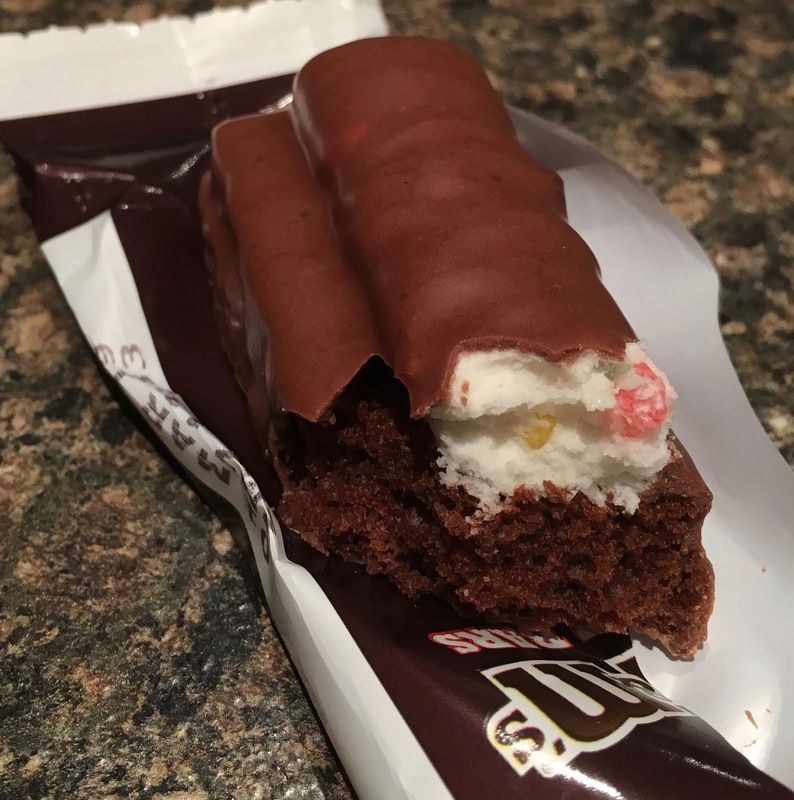 The coloured bits in the filling are not mini M&Ms, they are just coloured sugar crystals which is such an opportunity lost. It means that there aren’t any actual M&Ms in the specifically M&Ms themed cake bars at all. I’ve been lucky enough to eat in a few posh restaurants and they tend to use the term deconstructed, when the take the idea of something and then reconfigure it, and that is as polite as I can be about this and its connection to actual M&Ms. Having said all that the cake bars are tasty, I like a mix of texture so the crunch was welcome in contrast to the soft fluffy sponge. They are a nice chocolate treat, which are smartly packaged, they are just lacking that key ingredient, M&Ms. Swindlers! I was hopeful about these. No mini M&Ms is a complete waste.